Thunderbolt Pipeline allows your team to be connected more than ever before. With a proprietary suite of field collaboration tools like document & photo share, automated tasks, triggered reminders, and a full-blown construction CRM all stored in the secure cloud...you'll wonder how you've managed to operate your business without it! 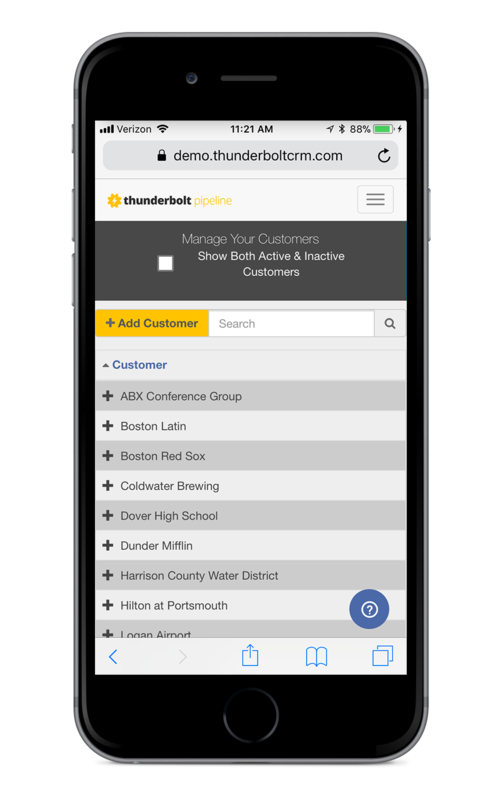 Schedule a demo to see how the Thunderbolt Pipeline platform can make managing your business easier. 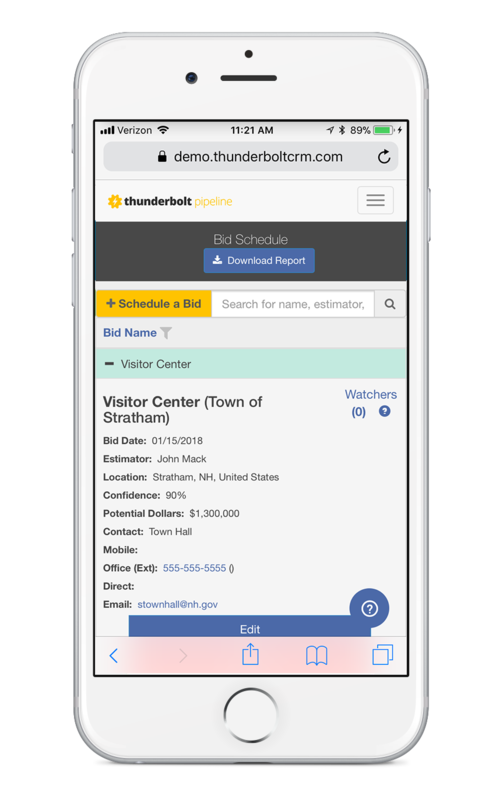 Schedule a 30 minute Demo to see how Thunderbolt Pipeline can increase your margins and make running your business easier. In such a competitive market, every dollar counts. Give your team the tools they need to easily collaborate on all their jobs in real-time to maximize your margins. Sit back and monitor all the progress from an easy to use dashboard. Share job notes in real-time to keep your team informed and in sync. Never miss an important deadline with assignable tasks. Don’t drop the ball with automated reminders for important dates. Share job photos in real-time from the secure cloud. Edit & share important documents accessible to your whole team. Keep tabs on your important clients with a powerful construction CRM. Your Margins Will Thank You. Set tasks & reminders on every important date or event to ensure your team stays on the ball. You can't afford to not know about Thunderbolt Pipeline! 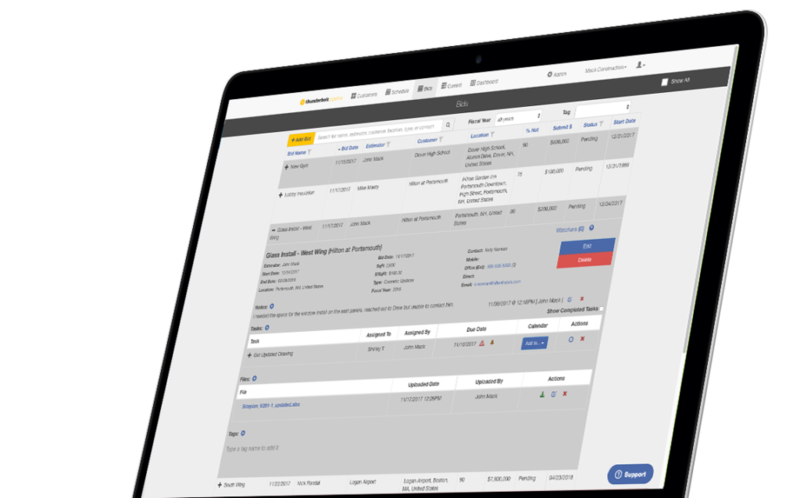 Schedule a demo today and see how the Thunderbolt Pipeline platform can give your company an almost unfair advantage.